Offering you a complete choice of products which include ss 304 nut, ss 304 bolt, ss 316 bolt, ss 316l bolt, ss 321 bolt and ss 310 bolt. Keeping in mind, ever-evolving requirements of our precious clients, we are trading and supplying an exclusive gamut of SS Nut that is used for different fastening applications. 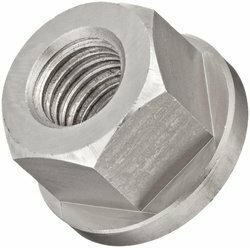 Manufactured by the skilled professionals of our vendors using high grade stainless steel and modern technology as per the set industry norms, we offer this nut in numerous grades and sizes to meet the needs of clients. We are passionately engaged in offering an exclusive array of SS Bolt for our esteemed clients. Our reputed vendors use high grade stainless steel to manufacture this bolt with the help of ultra-modern technology at par with the market established norms. 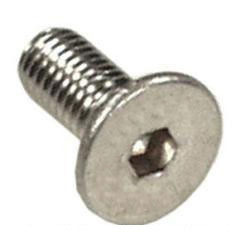 This bolt is suitable to use in various machines for proper fitting. Available in numerous sizes and allied specifications to meet several needs of clients, this bolt can be customized too.